While we are still enjoying in Malta the soap opera over John Dalli’s forced resignation as EU health commissioner, the members of the European Parliament bowed to intense tobacco industry lobbing and scaled back ambitious proposals to restrict the sale and promotion of cigarettes across Europe. Tonio Borg, the current EU health commissioner had said back in November 2012 that his “number one priority” is to see the tobacco products directive swiftly implemented. We can now witness the total failure of its implementation. MEPs rejected proposals to ban so called ‘slim’ cigarettes that are particularly attractive to young smokers and also voted to phase out menthol cigarettes over eight years rather than three. Plans to increase the combined picture and health warnings on cigarette packs to 75 per cent have been shelved. 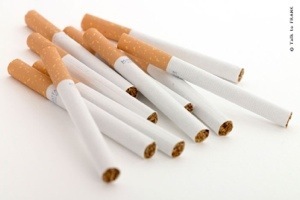 The moves will be seen as a victory for the tobacco industry which has spent over €1 million lobbying MEPs to reject the more stringent safety proposals agreed by European governments. This is a shameful day for the European Parliament, as a centre-right majority has done the bidding of the tobacco industry and voted for weaker rules, which are totally at odds with citizens’ interests and public health. The only real victors are tobacco firms, whose aggressive and expensive lobbying campaigns have paid off. Philip Morris International, the makers of Marlboro, spent €1.2 million wooing MEPs to water down safety proposals. Tobacco kills as many as 695,000 people a year in the EU, or one person every 45 seconds, according to the commission, which says a third of Europeans still smoke.